Back in February of 2014 when the Great Meadow Foundation purchased theadjacent 174-acre Fleming Farm property, foundation president Rob Banner could see the future. In particular, he envisioned the day when his facility, which nearly doubled in size, would be able to host world-class competition in Three Day Eventing. 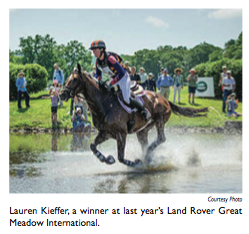 On July 8-10, the gorgeous venue in The Plains will host the Land Rover Great Meadow International, the first ever FEI Nations Cup Eventing competition to be held outside Europe and a preparation trial for the 2016 U.S. Olympic Eventing team. In addition to the Americans coached by Olympic gold medalist David O’Connor, so far the event also has attracted teams from Great Britain, Australia, Canada, Germany and Mexico. Three-day eventing is a former calvary test that combines scores from three distinct phases—dressage, show jumping and cross-country. 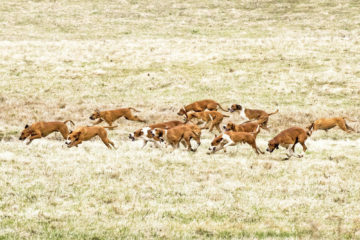 Cross-country is a jumping and endurance test that requires many miles and hundreds of acres to fully test competitors. Clearly, Great Meadow has landed a premier eventing competition that will be contested at a world-class facility. It includes a newly-built, $1.2 million arena and warm-up area constructed specifically for the dressage and show jumping. It begins with dressage on Saturday morning, July 9, followed by the show jumping phase later that afternoon. The cross-country will begin at 9 a.m. on Sunday, July 10, with the closing ceremony scheduled for mid-day. O’Connor, a long-time resident of The Plains, also played a significant role in securing the Nation’s Cup event for Great Meadow. Several years ago, Banner contacted O’Connor, Chef d’Equipe of the U.S. Equestrian Team eventing squad, and wanted to see if it was possible to attract big-time eventing events to the facility. 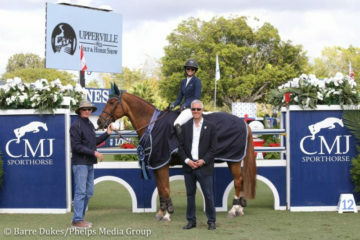 A former president of The U.S. Equestrian Federation, a post he held for 10 years, O’Connor agreed with Banner that Great Meadow was uniquely suited to helpachieve his goals and the two started planning. In 2014, Great Meadow hosted the eventing selection trials for the 2014 Alltech FEI World Equestrian Games. Last summer, it was the site for the GreatMeadow Internationalcompetition that served as the final preparatory event for the U.S. Eventing Team prior to the 2015 Pan American Games in Toronto. And now it’s the Nation’s Cup competition, with that world-class arena Banner promised. Recently completed, that $1.2 million arena is 300 by 200 feet, and there also is a separate 400-by-100-foot warm-up area, with both having the same footing. 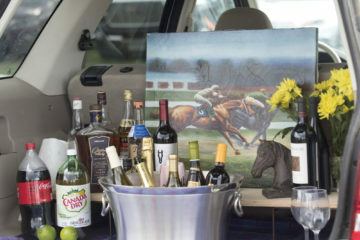 And in addition to the eventing, spectators also can visit an extensive trade show with a wide variety of exhibitors showing and selling their wares on the property. Banner estimated as many as 20,000 spectators will be on hand over the weekend. 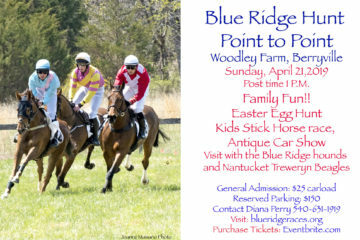 And many riders and horses that likely will be competing in the 2016 Rio Olympic Games in August also will be in the field for the Great Meadow event. To kick it all off, spectators also are invited, at no charge, to come to Great Meadow on Friday, July 8 for a “Free on Friday” celebration that will include an opening ceremony, as well as a chance to inspect the new arena and the grand opening of the Meadow Market Trade Show.